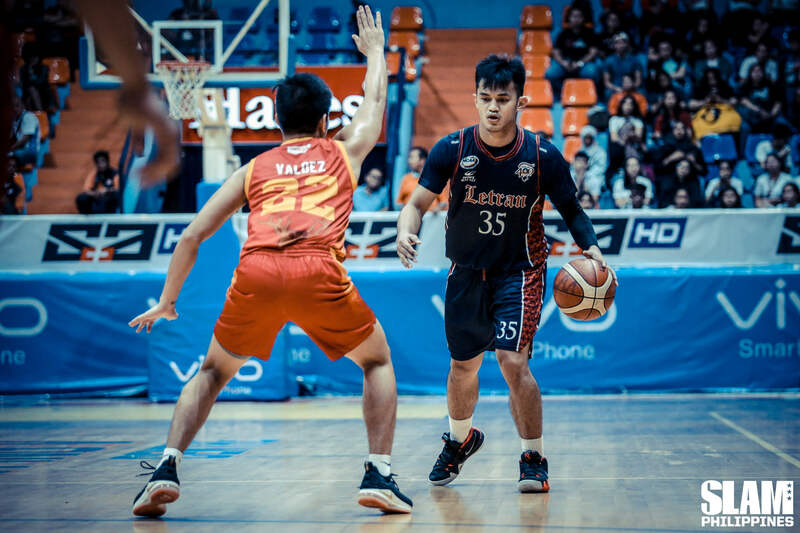 After narrowly missing out on the Final Four last year, the Letran Knights made sure to secure a Final Four spot early this year. They win their fifth straight game over the San Sebastian Stags, earning a spot in this year’s Playoffs. Letran still has a chance at the twice-to-beat incentive if they sweep their final games, coupled with key losses by the teams ahead of them. Nico Galvelo and Larry Muyang continue their hot streak in the second round. Galvelo scored 14 points while Muyang had a 15-13 double-double. Galvelo got the game started with eight points to set the tone for the Knights. He almost tied the total output of the Stags in the first period. The Knights took note of Galvelo’s effort and jumped on in the second quarter. Bonbon Batiller, Larry Muyang and Christian Fajarito helped Letran build a 17-point lead heading into the half. That lead didn’t stand for long. The Stags went on a blitzing run in the third quarter to get right back on the game. RK Ilagan led the way with nine points. He was supported Michael Calisaana and Jesse Sumoda as San Sebastian put up 27 points in the third period to cut the lead down to just seven points. With a Final Four spot on the line, Letran refused to ease up on the pedal. they started the fourth quarter on a 13-2 run to put the game away. It was a total team effort in the final period with seven players getting on the board. The Perpetual Altas continue their win streak in the second round. They won their sixth straight game in a bloody battle against the EAC Generals. In the process, they secured at least a playoff for the final spot in the Final Four. Kim Aurin scored a career-high 26 points to lead the Knights. Prince Eze finished with 14 points and 16 rebounds. It was a tight first half between both teams. Hamadou Laminou and Jet Mendoza were ready to play the spoilers’ role once again. Laminou scored 12 points in the first half while Mendoza led the way with 15 points. The Generals were able to keep in step with the Altas even as Aurin dropped 15 points in the first two quarters. The Altas could only manage a two-point lead heading into the half. With EAC sticking too close for comfort, Perpetual turned on the offense in the third period. 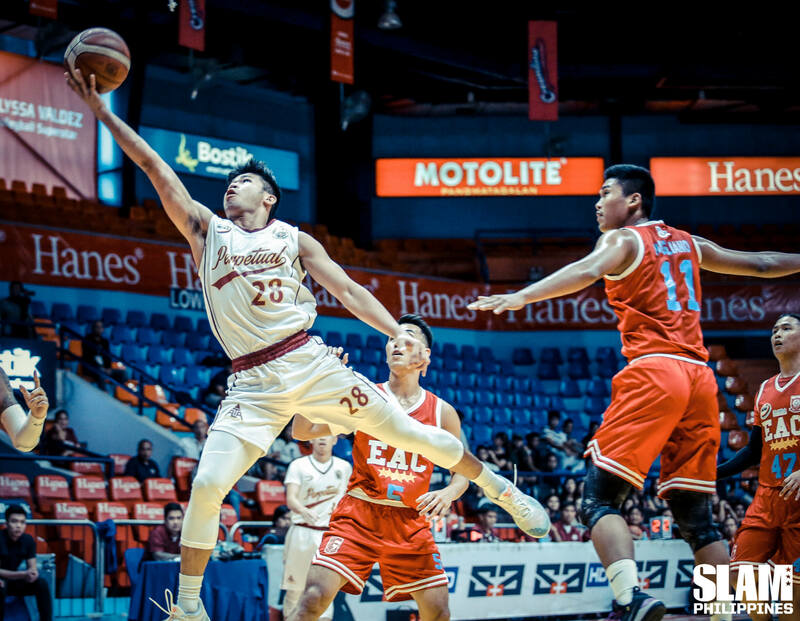 Seven players scored as the Altas dropped 24 points in the third period. They outscored the Generals to build a double-digit lead. To make matters worse for EAC, Laminou crashed to the floor with Jerome Pasia’s knee landing on the back of his head. Laminou suffered a cut on his eye and had to leave the game in the third. That was the death blow for the Generals. Without their big man, they couldn’t catch up to the Altas in the final period.